In January 2019, Rootstock launched a team to oversee growth in the DACH region of Europe, encompassing Germany (Deutschland), Austria and Switzerland – all the German-speaking countries. This team will respond to the tremendous demand for Rootstock Cloud ERP within the region’s manufacturing and distribution industries. Rootstock has appointed Andreas Daum to lead this team, to oversee growth and expansion, and to establish partner relationships that build Rootstock’s ERP ecosystem in the region. Daum comes to Rootstock with an extensive background in business management consulting at KMPG Consulting, Bearingpoint and MHP. At these companies, he held key leadership positions. He also has deep expertise in the ERP market, having previously worked with SAP, Infor and Baan Software. 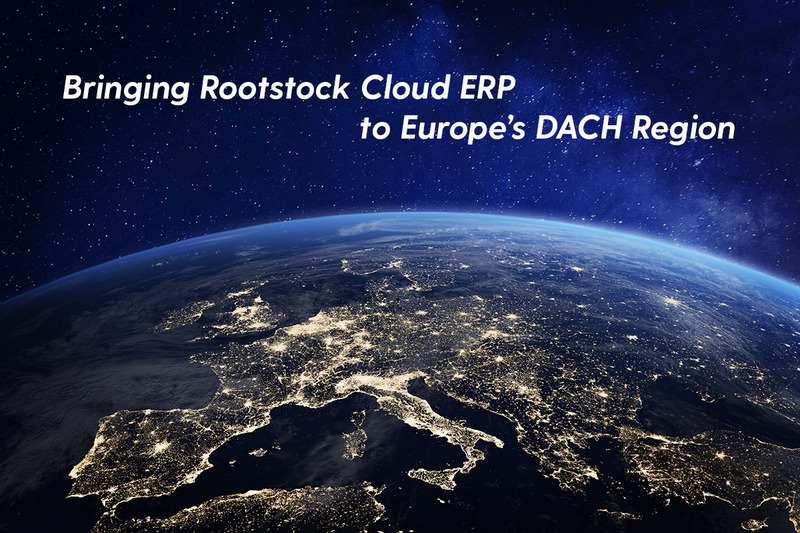 “The DACH region is a huge market for Salesforce, which creates opportunity for Rootstock, built for the Salesforce Platform. In this region, we see tremendous opportunity among mid-market companies, which are tired of outdated technology. They’re looking for a modern cloud alternative to replace their legacy ERP solutions,” added Norling. Daum notes that one of the main markets in Germany is the automotive market, which has experienced significant change. The market is moving toward electronic vehicles, shared vehicles, and autonomous driving. In addition, newer car models use extensive technology, so there’s a complete change in how cars are manufactured. This trend is reflected in every tier of the automotive market. “In the past, the cost of replacing a legacy ERP with Cloud ERP had been a barrier. Today, there are a number of factors that have made the market ready to make this investment. Companies want an ERP system that provides agility, transparency and cost efficiency. Rootstock Cloud ERP can fulfill these needs,” said Daum. Daum explained that the ERP market is also seeing greater focus on the customer. With a cloud solution, companies can accelerate implementation. Once in place, the platform enables them to focus on the changing business landscape. They’re better equipped to move in the direction of customer-focused manufacturing and service. For example, an agile Cloud ERP solution enables companies to rapidly make changes, allowing them to react more quickly to market conditions and customer needs. “I’m also working to build relationships with implementation and channel partners in the region. Not all ERP products have appropriately adapted in terms of localization. We’re working with partners to better respond to local market needs,” said Daum.